Have fun egg hunting this Easter with Design Team member Pat Robinson’s cute Easter basket, using the new Fairyopolis collection. 1. 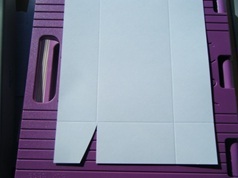 To begin score 2 sheets of A4 cardstock on the box maker of the Ultimate Pro. For the base use the 4th line from the edge and for the lid score along the 4th and 2nd lines. 2. 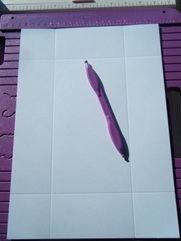 Place the lid, with the short side to the handle edge, onto the card-scoring side of the board and make a small mark top and bottom at the A5 line to find the centre. 3. Line up the A5 centre marking to the 5” square-fold line on the Ultimate and score along the A5 half-fold & A4 half-fold lines. Cut in along these lines up to the inner horizontal score lines then fold the rest of the line to form the hinge. 4. 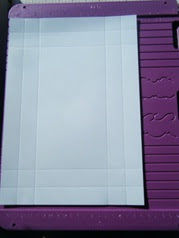 Cut along the outer score line on all 4 sides in order to create shallow sides to the lid. 5. 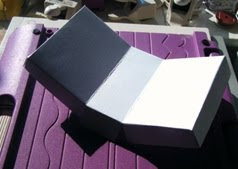 Make up the box base and lid as normal, cutting away a triangle at each corner and then glue. 6. Print the basket paper from the CD-ROM and cut into pieces to fit onto the sides and top of the box base and lid. Fix into position using Collall Photo Glue or Stick & Stay. 7. 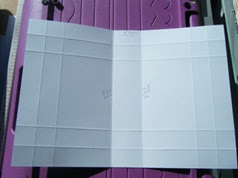 Taking the 3rd piece of cardstock, cut it the same width as the centre section of the lid and whatever length you want the handle to be and then decorate with a border printed from the CD-ROM. Glue the handle to the centre side sections of the lid and then glue to the centre side sections of the box base. 8. Stamp and colour the Primrose fairy and butterflies, cut out and stick to the lid using Collal glue gel. 9. Stamp Primrose & Wild Thyme onto shrink plastic using Stazon then punch a hole at the top of each, colour and heat to shrink. Thread onto some cord or ribbon and attach to the handle. 10. 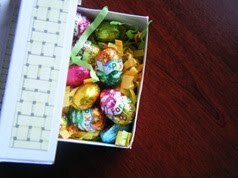 Fill the basket with coloured shredded tissue and the yummy chocolate eggs, making sure not too many end up in your mouth! 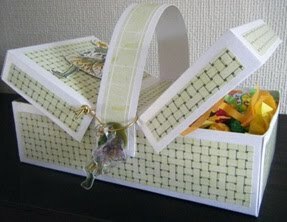 Of course you can decorate the basket using papers from any of the Crafters Companion CD-ROMs and rubber stamps – whatever takes your fancy!